When you need a good way to cap off a long day, head over to Rockey’s Dueling Piano Bar for a night you’ll never forget. It’s a bold part of the downtown district of Gainesville, Florida, with a customer base as diverse as it gets. Anyone who steps past its doors can count on good food, live entertainment, and a golden opportunity to get on the dance floor. But just like the name suggests, the dueling pianos and their players are the real stars. 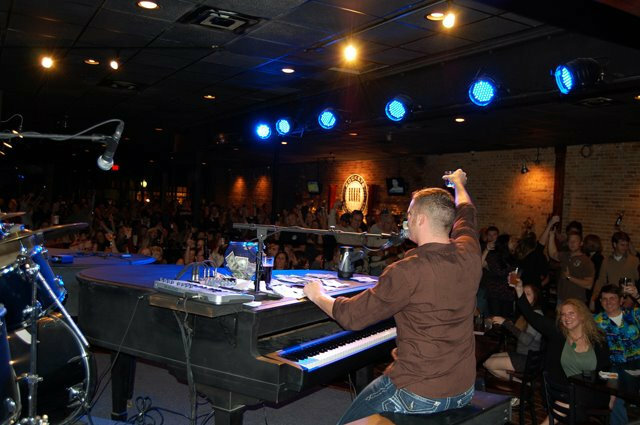 The bar plays host to the number one request-driven dueling piano show in the whole nation, so visitors won’t get anything like it anywhere else in America. House performers like Tim Buie and Brad Heron get the most out of the pianos from Thursday nights to Saturday nights. They’ll gladly put their skills on display by making the audience a part of the fun. It’s hard to imagine a request that’s too far out there for them; since the bar’s name is actually a clever way to spell out “rock keys”, the musicians have no problems belting out their take on a Guns N’ Roses classic to the delight of their guests. Whether they play as a pair or alongside guest performers, Buie and Heron have no problems making sure the fans walk out with smiles on their faces. Clapping, chanting, and singing along are all fair game, though any given night can get a lot wilder than that. They’ll gladly pull an audience member on the stage to sit on one of the pianos. In some cases, Heron himself will actually stand on the two pianos at once, and balance atop them mid-show. 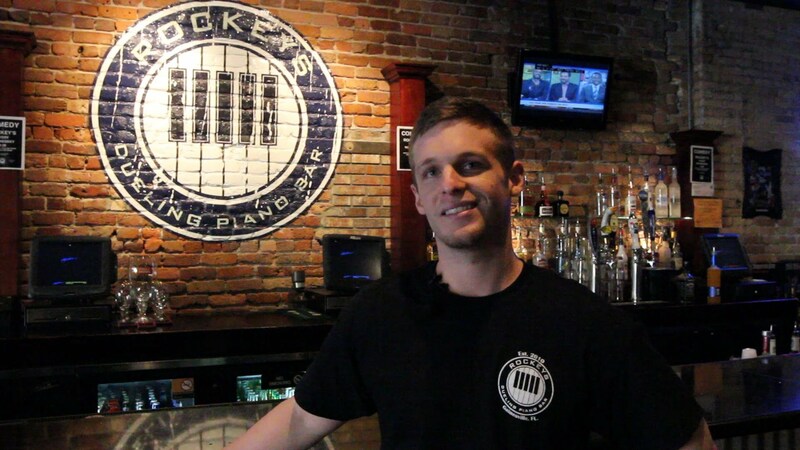 Visitors of all ages and walks of life are welcome to visit Rockey’s Dueling Piano Bar. It’s a popular spot for college students, with Thursdays set as a night full of discounts and specials. Still, the musicians have no problems celebrating bachelor parties, bachelorette parties, and birthdays. Audience members can range from their twenties to their seventies, and in one instance even a 91-year-old had the time of his life. Every employee in the bar is dead-set on making customers feel like family, even if it means writing the names of out-of-town visitors on the mirrors behind them. Buie has gone on record saying that Rockey’s Dueling Piano Bar is a house of love, and it’s not hard to see why. It’s not just possible for audience members to hop and crawl onto the stage, but recommended so they can decide which Red Hot Chili Peppers song gets played. It’s in the spirit of, and for the sake of, a load of fun whenever the sun goes down. Even if it has “bar” in the title, it’s a lot more than just a simple watering hole.